15 minute response for your Chicago car locksmith needs! If you are locked out of your car or need immediate assistance Call 312-285-3790 now! Looking for an car locksmith in Chicago? You’ve come to the right place! 24/7 Speedy Locksmith specializes in car locksmith services in the Chicago area! Whether your keys simply stopped working or you lost them altogether, we can help you get back into your car and back on the road! We take pleasure in helping unlock car doors in Chicago. You really need a professional car locksmith to get you back into your car and off to other matters. We are the Chicago car Locksmith experts, let us help you! Our locksmith specialists are trained to get your locksmith needs taken care of quickly and safely. With some of the fastest response times around, 24/7 Speedy Locksmith is ready to get your life back in order and you back on the road. We also sometimes refer customers to 24/7 Lightning Locksmith Chicago for emergency locksmith service if we are having a busy day or you are located further north of Chicago. We’re waiting for your call, so don’t hesitate to reach out for our car locksmith help in Chicago! Whether you need us to rekey, repair or replace your ignition, 24/7 Speedy Locksmith has the expertise to get the job done quickly and correctly! If you’re key is starting to get clunky in your ignition, call us today so we can detect the issue and fix it quick! 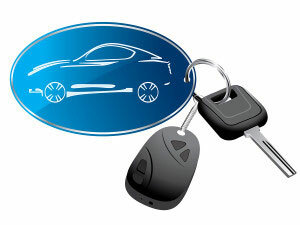 Have a question about our car locksmith services and you’re in the Chicago area? Call us today at (312) 285-3790.